If you have already completed the AFF course, you are a skydiver in your own right and can jump solo. The A License (USPA or BPA) or FS1 (BPA) not only helps you to extend your know-how and your skills as a skydiver, but also allows you to jump with other skydivers. To obtain the USPA A License you must demonstrate possession of the knowledge and skills stablished by the United States Parachute Association. A USPA A LICENSE OR A BPA FS1? 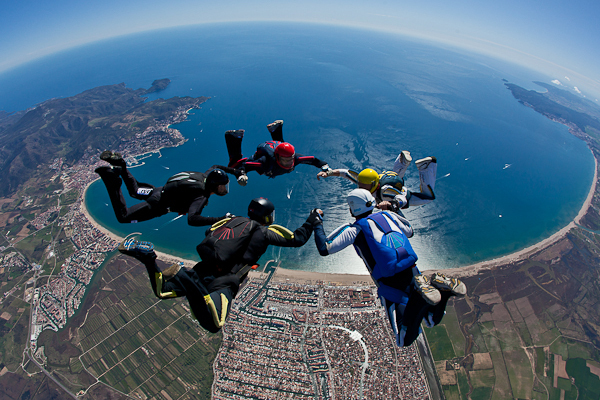 If you would rather do further training in formation skydiving techniques, coaching jumps in this discipline are also available. If you choose this option and in training fulfill any of the objectives required to obtain the A License / FS1, these will be validated for the qualification.